Casino Essentials Title 31 training and more. We are the leading e-learning providers of AML/Title 31 for the Gaming Industry. 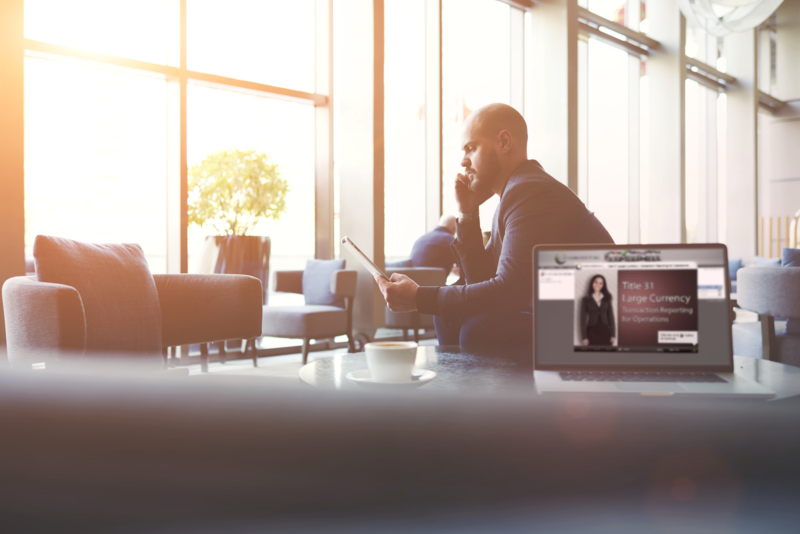 Our passion is keeping your business in compliance while providing the best online training solutions and customer support available. Compliance, leadership & Safety through Online learning. Compliance through cloud training, testing and tracking. Compliance through our AML Certification Program. Compliance through conferences, seminars & workshops. Need an easy to use LMS you can count on? Look no further! 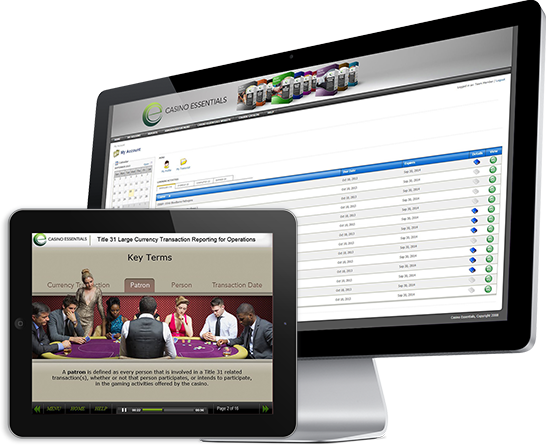 Casino Essentials offers a powerful and ease to use, web platform LMS which suits both Casinos & Card Clubs. Train, Test and Track all your staff in no time with minimal effort.